MCV is back from Gamescom, where we’ve been hard at work all week to produce our daily issues, distributed on the show floor during the event. 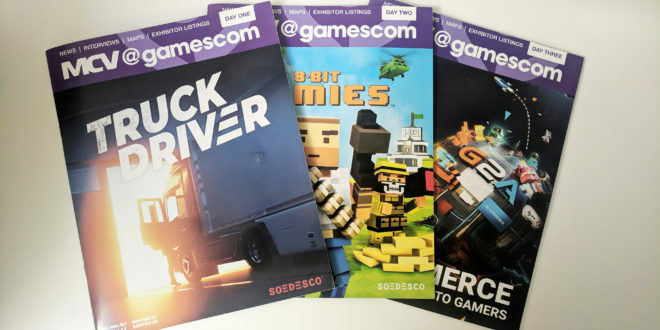 We talked to the biggest publishers and the most talented developers, and you can now read all the content from our MCV@Gamescom issues in our digital editions. This year, we also partnered with the lovely folks at GamesRadar+, publishing two of their previews in our daily issues. You can read Lucas Sullivan’s opinion on why Diablo 3 on Switch is the perfect port for local co-op demon-slaying (even on a single Joy-Con) here, and you can read Sam Loveridge’s preview of Sekiro: Shadows Die Twice here, where she details how Activision and FromSoftware’s upcoming samurai game is as difficult as you’d hope it would be. For our Day 1 issue, Konami’s president Masami Saso talked about the company’ strategy, its cross-platform successes and how the Japanese firm tries to strike a balance between titles for its home audience and those intended for global consumption. 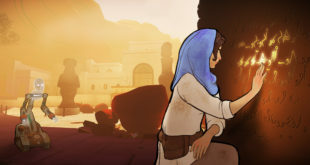 We also talked to Green Man Gaming about a renewed focus on its publishing arm, to Sumo and The Chinese Room following the acquisition of the latter, to Broken Sword creator Charles Cecil and to CEO of GAME Martyn Gibbs about the launch of its 20th Belong arena in the UK. > Click here to read the digital edition of MCV@Gamescom – Day 1 (you can see a quick preview below). For our Day 2 issue, we talked Xbox’s GM of marketing Aaron Greenberg about Xbox One X bundles, how Fortnite has grown gaming and why Game Pass benefits its partners. Ubisoft’s EMEA executive director Alain Corre also told us about the firm’s long-term plans for Assassin’s Creed and we talked to Robot Cache about the digital distribution’s platform approach to curation, to Koch Media CEO Klemens Kundratitz about the THQ merger, and to Skybound Games about the label’s line-up and its IP expansion hopes. > Click here to read the digital edition of MCV@Gamescom – Day 2 (you can see a quick preview below). For our Day 3 issue, we talked to Bandai Namco’s Hervé Hoerdt and Lee Kirton about the firm’s shift to European IPs (and why it wants these to go beyond just video games) and Supermassive’s newly announced horror anthology The Dark Pictures. 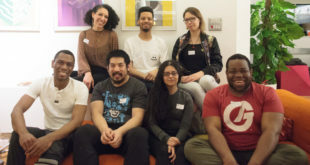 We also talked to FIFA 19’s producer and creative director Matt Prior about how EA has made the title more accessible to every type of player, to Deep Silver and 4A Games about Metro Exodus’ hybrid design, to E-Line Media about Beyond Blue and to YoYo Games about GameMaker 2’s upcoming feature Sequences. > Click here to read the digital edition of MCV@Gamescom – Day 3 (you can see a quick preview below). 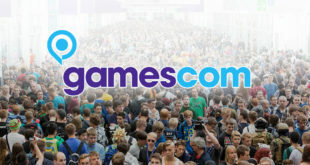 Thanks to everyone who took the time to talk to us this Gamescom and to Ukie for hosting us on its amazing UK pavilion. We’ll see you all next year!